Ready for planting? Today, Zulily is offering Cottage Farms Direct up to 50% off! Plus so much more! Hurry over because several items are selling quick! I had to scroll down all the way to the bottom and click on the Best Sellers. *If your new to Zulily please sign up through my referral link HERE! Thanks. On Sunday, 4/7, only you will earn an additional 5,000 Balance Rewards Points when you spend $30! Based on the fine print (see below) it appears that this will credit after Walgreens Coupons and discounts, but before manufacturer coupons! Fine Print: Points will not be earned in a transaction where Redemption Dollars or Store Credit is used. $30 must be spent in a single transaction and purchase amount is calculated before taxes and after all Walgreens Coupons and discounts are applied. Does not apply to previous purchases or taxes. 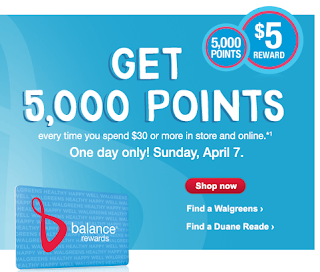 Once points are redeemed, and if they exceed the purchase amount, points cannot be credited back to member s account. Point Promotions will not apply to and Points cannot be earned or redeemed on purchases of: alcohol; dairy; tobacco; stamps; phone/prepaid/gift cards; money orders/transfers; transportation passes; lottery tickets; charitable donations; pseudoephedrine or ephedrine product; prescriptions, health tests, contact lenses or other healthcare items or services; Prescription Savings Club membership fee; Take Care Clinic services or certain items that are excluded in particular Point Promotions, and any other items specified as exclusions by the Company from time to time or where prohibited by law. For this weeks bargains check out the Walgreens Coupon Match Up. Thanks My Colorado Springs Mommy! I'm excited about the ACM Awards tonight! 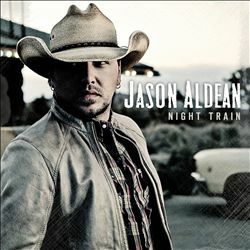 Right now Best Buy is offering Nominee Jason Aldean "Night Train" CD or Thompson Square "Thompson Square" CD for $5.99 (Retail $18.96). *price will drop when added to cart, plus you'll receive Free Shipping! Pampers has a new 10 point code available. Just use the code: FBDA4WSRE8WRP13 to get your additional points! If you are new to Pampers Gifts to Grow sign up now for 100 points! Then try these codes for additional points: *If these do not work for you please let me know which ones are no longer working since I'm unable to enter them again. If you've been on the hunt for New Balance Shoes, right now Joe's New Balance Outlet is offering Free Shipping on orders over $50 until April 16th. If you haven't checked out Joe's New Balance Outlet head over and browse several styles and sizes for less at up to 80% off. I've ordered many times from Joe's New Balance and never had issues! You'll receive great customer service and also receive really quick in the mail. James Patterson Fans, head over to Amazon today because right now you can grab the "Maximum Ride" Novels for $2.99 each on Kindle! Check out REI Outlet today because you can get this The North Face Pamir Windstopper Fleece Jacket - Men's for $89.93 (Retail $180). 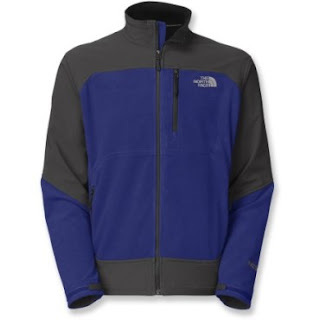 -The North Face Pamir Windstopper fleece jacket is warm, windproof and designed for activities in cold, windy conditions.